Pizza may be my all time favorite food. There are so many different ways to make it so you never get bored of eating the same thing. I’m also a huge fan of making my own dough. 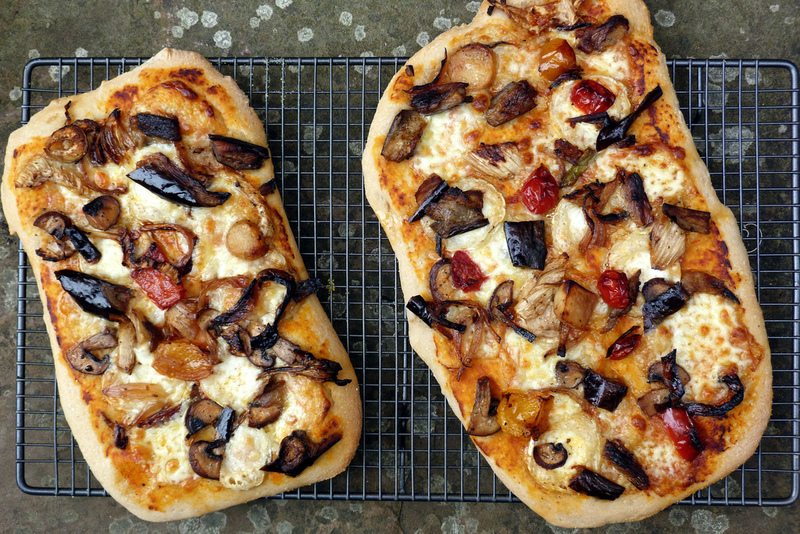 There is nothing better than fresh baked pizza dough. I know some people are overwhelmed with trying to make dough from scratch. Luckily, we have a new recipe that even simplifies the process more. All it takes is two ingredients. 1–1 ½ cups self-rising flour (If you can’t find self-rising dough, no worries. You can use 1 ½ cups all-purpose flour, 1 ½ tsp. baking powder, and ¾ tsp. of salt). Mix all the ingredients in a large mixing bowl until it is all blended together. Once it’s combined, take the dough out of the bowl and knead it on a floured surface for about 8-10 minutes. If it is a really sticky, just add a little more flour. Form it into a pizza shape. Brush with olive oil, add toppings, and put straight into a 450°F oven for 10–12 minutes. What do you think? Let us know how it works out on Facebook.